You can get a birth certificate copy in King County, Washington, in person, through the Internet, by fax, by telephone or by mail. Of all personal documents, the birth certificate is one of the most frequently requested forms of identification. The birth certificate is required to obtain a driver's license, passport or to enroll a child in school. All people born in King County and those born in the state of Washington after 1921 may get a birth certificate copy in King County, Washington. Copies of birth certificates may be obtained in person, through the Internet, by fax, by telephone or by mail. Gather the required information. 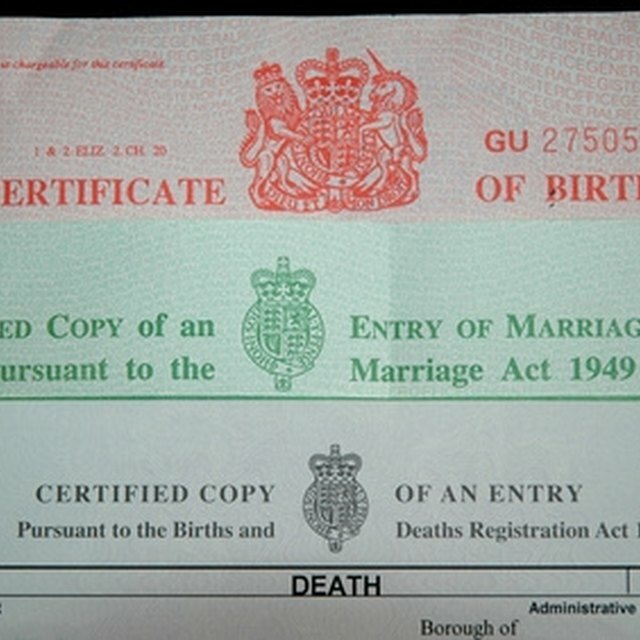 To request a birth certificate, one must have the full name of the child born, place and date of birth, the mother's full maiden name, the father's full name (if he is listed on the birth record), and the relationship to person listed on birth certificate. Visit the King County Vital Records Office on the second floor of the Ninth & Jefferson Building, at 908 Jefferson St., in Seattle. Fill out the birth certificate request form, and pay the required fee. As long as the information given is correct, the request is processed on the spot, and the birth certificate will be issued immediately. Assemble the required information as mentioned above. Print out a mail order form from the King County Vital Statistics website at Kingcounty.gov. Fill out the form in its entirety. 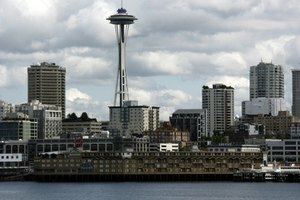 Mail the completed form and the required fee payment to Box 359784, 325 Ninth Ave., Seattle, WA 98104-2499. This address is a mailing address only and is not the address that processes walk-in requests. The birth certificate will be sent out by postal mail and should be received within two to three weeks after the request is received. Make sure all the above mentioned information is available. Go to the King County Vital Statistics website at Kingcounty.gov and click on the VitalChek link. Click on "Birth Certificate" and enter the requested information. A credit card is required for payment, and the cost of shipping depends on the method selected. Standard shipping takes 10 to 14 business days. Collect the required data as mentioned above, and telephone the Vital Statistics Office at 206-296-4768 from 8 a.m. to 4:30 p.m., Pacific Time, Monday through Friday. Give the clerk the information as requested. A credit card is required for payment when requesting a birth certificate by telephone. The request will be handled within two to three business days, and the birth certificate will be shipped by regular mail. Expedited methods are available for additional fees. Gather the information as if obtaining the birth certificate in person, and print a copy of the birth certificate fax order form, available on the King County Vital Statistics website at Kingcounty.gov. Complete the form, including credit card information. The only method of payment accepted is a credit card when requesting a birth certificate by fax. Fax the form to 206-296-0983. The King County Vital Statistics Office will process the form and your credit card charge within two to three business days. The birth certificate is then sent by regular mail, unless other shipping options are selected. For those near Seattle, the quickest way to get a birth certificate is to visit the King County Vital Statistics Office and pick it up in person. Since 2007 Peggy Crippen has written about child development and family issues at Preschool Rock and other Web publications. Her diverse experiences include mental health case management, parent education with low-income families and teaching several college courses. She received a Bachelor of Science in psychology and a Master of Science in human development/family studies emphasizing family life education from Kansas State University. How do I Get a New Birth Certificate from American Samoa?